In 2017 the AIR program in Italy is available October- May. 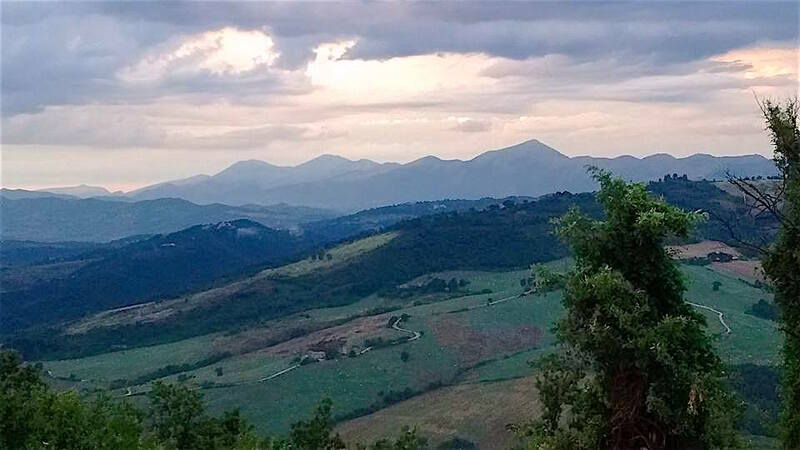 Our spacious and light-filled studio provides a panoramic view of the Umbrian hills, access the spiritual and artistic treasures of nearby Assisi (international city of peace and home of St. Francis of Assisi). Enjoy the vibrant life of an international retreat center across the street- Ananda Europa is one of the premier Yoga and Meditation teaching centers in Europe. An ‘Artist in Residence’ is a practicing artist (or writer, playwright, filmmaker, etc.) who seeks the time, space and inspiration that nourishes an emerging body of work. As an AIR you can set your own schedule, taking advantage of the rich resources that surround the Academy- the beautiful and peaceful natural environment, the yoga and meditation at Ananda, the culturally vibrant towns and cities nearby. Our residency program provides a unique opportunity in an uplifting environment. We offer a place for artists to ‘go to the mountain top’- to seek the highest font of Being as the source of their inspiration. In this environment of beauty and spirituality, the heart and mind can open and expand. The Academy facility offers a spacious gallery & movement space with an adjoining studio classroom that opens out onto an earthen terrace with a panoramic view of Umbrian countryside. During the summertime the Academy is alive with courses and various creative activities- music jams, concerts, theater, etc. In the autumn and winter we shift gears from teaching and enter into a season of studio time. We begin a sojourn into the creative process. Depending on the time of your stay you may be the only artist present in the space, or you may be sharing the space with up to 5 others. There is plenty of room for each to have their own table & work area in the painting studio as well as access to the large movement space in the gallery. When there is more than one, you can connect in a spirit of community and enjoy the contagious buzz of creativity flowing in the midst. However, we often work in silence and hold strongly to the principle that each creator has their own ‘corner of the universe’ that is free from observation or intrusion. Our unique mission as a center for spiritual art means that we value silence, seclusion and the opportunity to delve deep within your own soul. Tuition covers your use of the studio including the kitchen and office, free internet access and use of common tools such as paint brushes, stapler, scissors, wire cutters, hammers & building tools, glue, wire, string, pencils, etc. 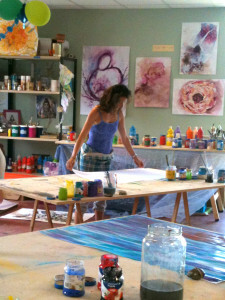 Artists will be responsible for their own art supplies such as canvas, paint, etc. We can assist you in purchasing your supplies in Italy. Meals and accommodations are available within walking distance.